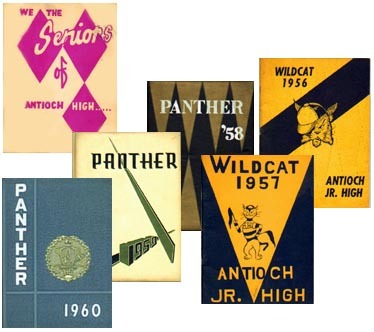 You have reached the web site of the Antioch High School Class of 1960. It is a little bit password protected—not truly secure but perhaps secure enough so that search engines won't easily find what we have posted on our web site. Click here to give a UserID and a password and to get to the body of our web site. Seven valid userid/password combinations are listed below. In each case below, the word in ALL CAPS is a userid and BLANK stands for the matching password. Type both the userid and password in all lower case without punctuation or spaces. then userid is "county" and the password is "fairgrounds". Now, find a real clue below you can crack and click above.